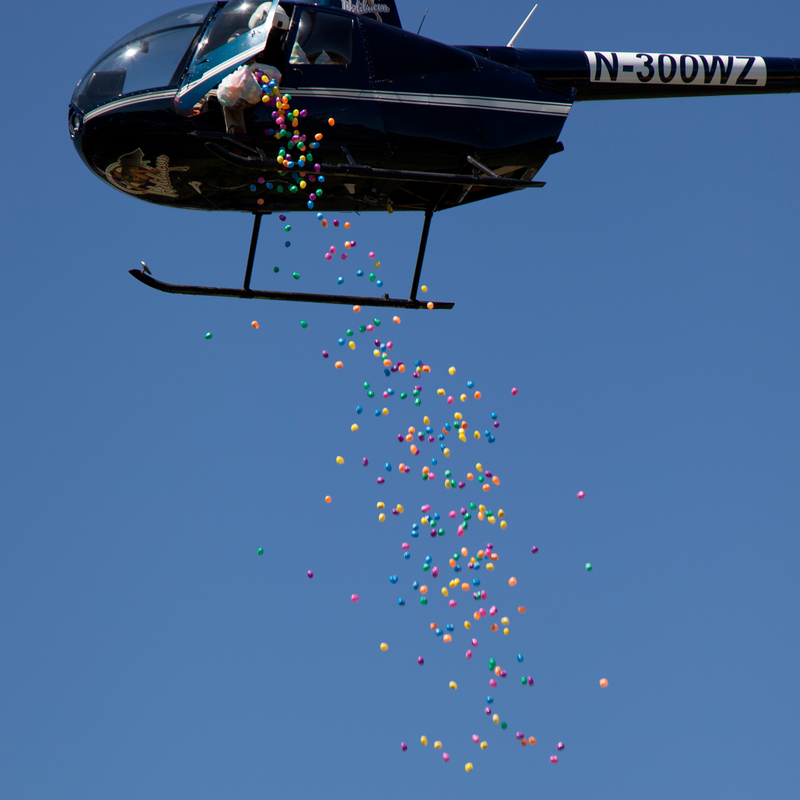 Helicopter drops 20,000 eggs on the Fifth Ward: The ultimate urban Easter egg hunt? 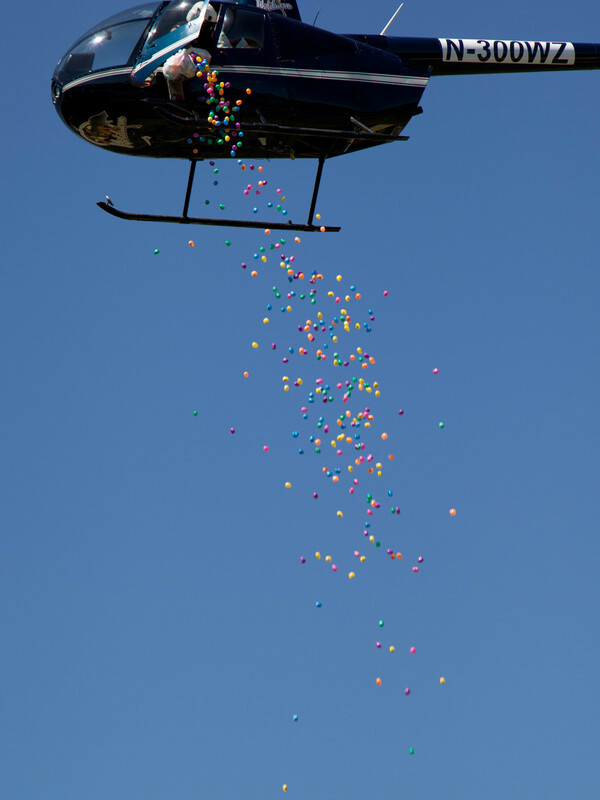 Helicopter drops 20,000 eggs on Fifth Ward: Ultimate Easter egg hunt? Easter came early this year to the Fifth Ward when a helicopter dropped 20,000 plastic, goodie-filled eggs during the annual Lyons Avenue Renaissance Festival. Participants young and old waited as the sky filled with falling eggs to grab as many treats possible when the special holiday surprises landed. 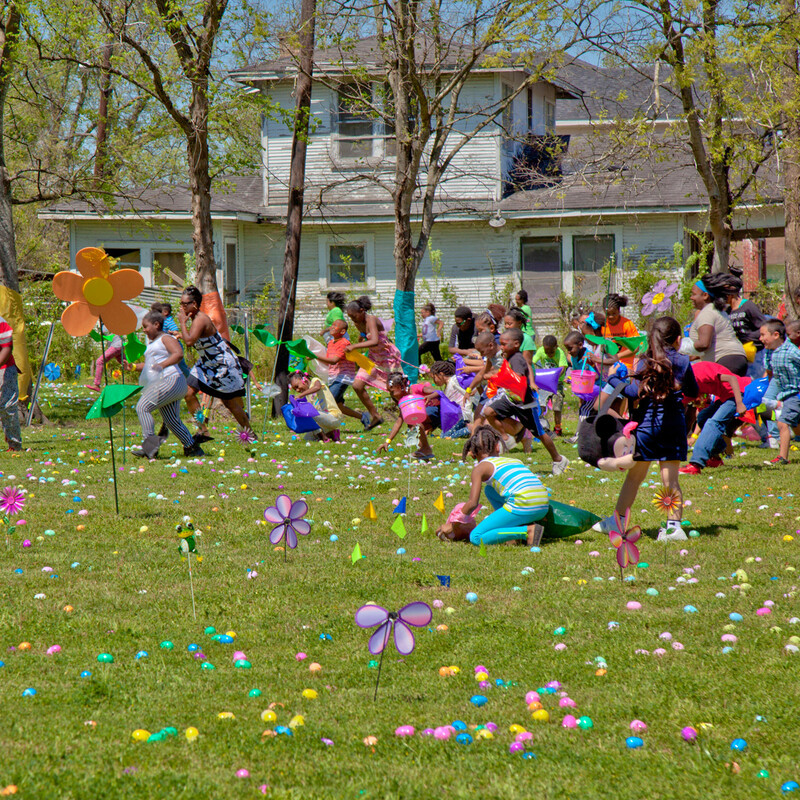 The Urban Egg Hunt is now officially part of the festival organized by Fifth Ward Community Redevelopment Corp. and Jerry Davis, Houston City Council member. Continuing the tradition, fest-goers were treated to three stages of live music and entertainment, a Kid's Zone, housing fair and health screenings. “We had a larger turn out this year, which proves we have touched an untapped group of people who are looking for family friendly events,” Davis said in a statement. 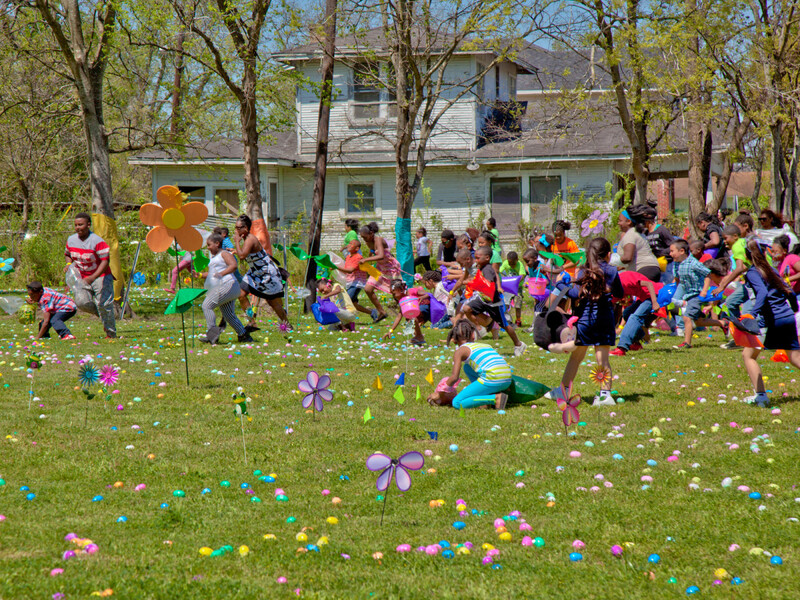 “The egg hunt, the Kid's Zone and the live music gave every family member something to enjoy. In addition to the family fun, this year's celebration followed the theme, "Party with a Purpose" and offered participants the chance to learn from experts about brand new homes being built in the area, new businesses moving into the ward and the opening of the newly renovated DeLuxe Theater. 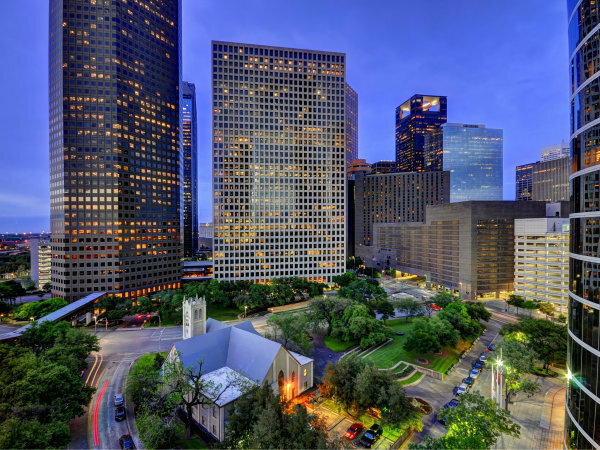 “Our goal was to not only entertain, but at the same time, educate people about all the wonderful things we have taking place daily in Fifth Ward," Kathy Flanagan Payton, CEO of the redevelopment corporation, said. 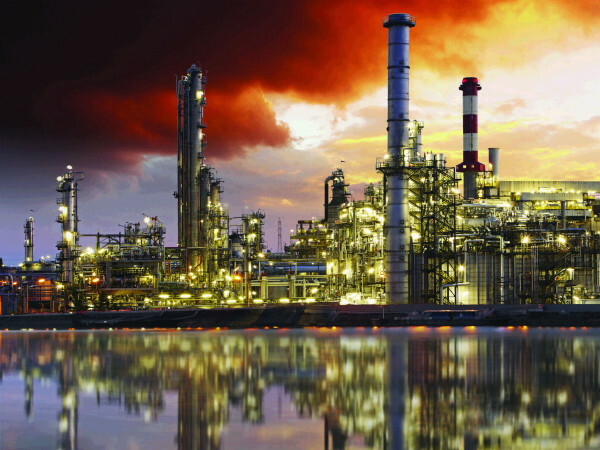 Got a great photo of a Houston happening or everyday occurrence? Send it to barbara@culturemap.com, along with details (who, what, where and why it's special). It might make our Pix of the Day.